FoOd PaRaDiSe: Uncle Lim's Traditional handmade Peanut Barley Candy @ Chowrasta Road,Penang. 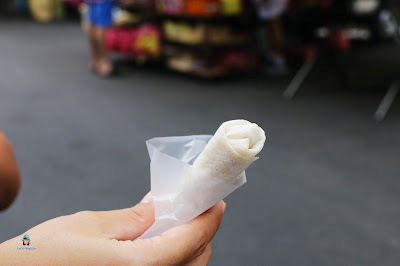 Today, I would like to recommend you one of the famous places to shop for spring roll skin aka "Poh Piah". We were here several times in the past and is not always you get the chance to see the uncle making the "Poh Piah". During one visit, we were fortunated to see the uncle making the Poh Piah skin. Address: No. 5 Chowrasta Road, 10100 Penang. Normally, I will straight eat the peanut barley candy. It's my first time having it with the Poh Piah skin. Something new for me. However, it's a bit too sweet for my liking. They also sell other products such as peanut candy and sauces (such as sweet sauce, chillies sauce and others).